UPDATE: DATE OF MEETING IS MOVED TO 5 APRIL BY REQUEST OF COMMISSION CHAIR. The City Band Commission will meet in formal session on Friday, 29 March 2019 5 April 2019, at 5 PM in the band room at Washington High School, 2205 Forest Drive SE. This will be a brief meeting, followed by auditions. The meeting is open to the public, but the auditions are not. Agenda includes the proposed 2019 budget amendment, approval of previous minutes, and other old business items from the previous meeting. Anyone who requires an auxiliary aid or service for effective communication, or a modification of policies or procedures to participate in a City program, service, or activity, should contact the Municipal Band Business Manager at 319-431-9649 or email business AT crmuniband.org as soon as possible but no later than 48 hours before the event. We’re hiring! Social Media Coordinator needed! The Municipal Band is looking for someone to manage our social media presence throughout the year. This position is on a yearly contract, pay is $1200 per year (two pay periods, $600 each). Most of the work will occur in June and July, but there will be things to do throughout the year. To apply, please submit a resume to Scott Haney, Business Manager at business AT crmuniband.org prior to March 14. Anything submitted after this date might not be processed before the next Commission meeting. The Cedar Rapids Municipal Band, a professional concert band that presents 18 (or more!) 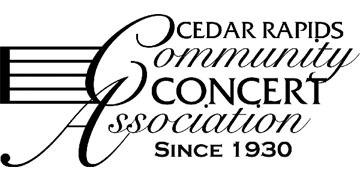 concerts in area parks, will hold its annual auditions on Friday, 29 March, and Friday, 5 April, in the band room at Cedar Rapids Washington High School at 2205 Forest Drive SE. There are known openings for Clarinet, Bassoon, and Horn. Other instrument openings are possible, and substitute players are welcome on all instruments, particularly Oboe, Saxophone, and Trumpet this year. A typical concert week consists of a Monday evening rehearsal, followed by concerts on the following Wednesday and Sunday. This season, we have one additional Saturday afternoon performance. Desired date for the audition. We strongly prefer that all auditions be scheduled by the Tuesday before the audition date (26 March and 2 April). We are able to offer a choice of date only if time is available on both days. Once all slots are filled on a given day, only the other day is available. We cannot offer a choice of times. Slots will be filled on a given day in order, on a first-come, first-served basis. If you have extenuating circumstances, please mention them, but we may not be able to adjust to them. Auditions each day will be from 6 PM to 9 PM. Audition will be around 7 minutes for winds, and 14 for percussion. Winds should bring their own instruments. Percussion should bring sticks/mallets only. Musicians will be evaluated primarily on sight-reading ability, but all are welcome to play an excerpt of one’s own choice (less than a minute) to warm up and gauge the room. This excerpt will not be considered part of the audition, however. Please also bring along a brief resume. Finally missed the change of year and listed 2018 in our post about the Young Artist Competition. That post has been corrected. The PDF poster was correct, however. My apologies! The 2019 Young Artist Competition will be held Wednesday, 17 April, at Washington High School in Cedar Rapids. This is the ninth year of the YAC, and we heartily encourage you to enter! The competition is open to woodwind, brass, and percussion students in grades 9-12 who live or attend school in Linn County and participate in a school band program. The winner will be a featured guest soloist one week during the 2019 CRMB season, and will receive the Margaret Kegel Memorial Scholarship, worth $500. Deserving runners-up may also have an opportunity to perform with the band. For more information, click this link for a poster, or write to Steve Shanley at sshanley@coe.edu by Friday, 5 April. The City Band Commission will meet in formal session on Sunday, 27 January 2019, at Marquis Hall on the Coe College campus. The agenda will include financial reports, setting the venues for the 2019 concert season, and discussion of the Publicity Manager position. The City Band Commission will meet in formal session on 30 September 2018 at Marquis Hall on the Coe campus. Start time is 7 PM. We’ll discuss the 2018 season, budgets, and dig into possible venues for the 2019 season. You have plans Sunday night at Bever Park- it’s the last Municipal Band Concert of the summer! We’ve packed in the favorites for our final week! We have a little something for everyone: music from the hit musical Hamilton, a medley of music from Pixar films including Toy Story, Up, The Incredibles, Cars, and Ratatouille, and a fantastic clarinet solo from University of Iowa clarinet professor Jorge Montilla. Gather your family and friends, a picnic, and join us at Bever Park for our final concert of the season at 7:30! Better yet, come at 6:00 to hear the Coe College Touring Bands before they head out on a tour of Italy the following day! Catch us in our last week of the season Wednesday at the McGrath Amphitheater! It’s the last week of our season, so if you haven’t made it to a municipal band concert yet this summer, this is the week to check us out! We have a fantastic program this week with a little something for everyone: music from the hit musical Hamilton, a medley of music from Pixar films including Toy Story, Up, The Incredibles, Cars, and Ratatouille, and a fantastic clarinet solo from University of Iowa clarinet professor Jorge Montilla. Gather your family and friends, a picnic, and join us at the McGrath Amphitheater Wednesday at 7:30! Concert Sunday night at Ellis Park! We have some amazing special guests this week! Kentucky Derby bugler (and Cedar Rapids native) Steve Buttleman will amaze you with a simply gorgeous rendition of Puccini’s Nessun Dorma and invite two outstanding high school trumpeters to join him on Leroy Anderson’s Bugler’s Holiday. Ninth grade Hannah Langley will also impress on Carnival of Venice and everyone will enjoy music from Star Wars and other movie favorites. Join us Sunda night, 7:30-8:30, at Ellis Park!